What is the Himalayan salt lamp? 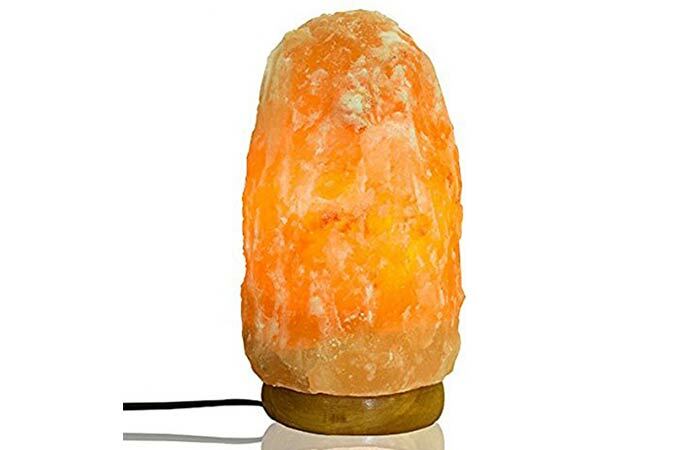 For most of you who aren’t aware of it, it is a lamp made from Himalayan sea salt – the dried remnants of the original sea, dating back to the beginning of Earth’s creation. Pretty deep. Though initially known for offering a natural glow to the surroundings, these salt lamps are gaining popularity in the recent times – for benefiting your health in surprising ways. Which is what this post will focus on. Keep reading for more information. 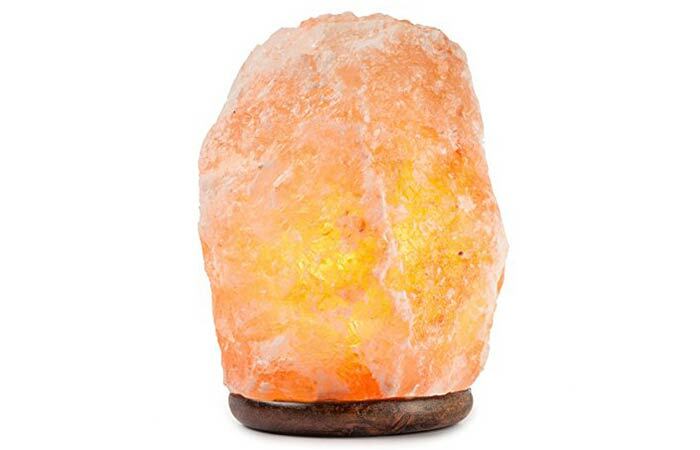 What Is A Himalayan Salt Lamp? How Does It Work? 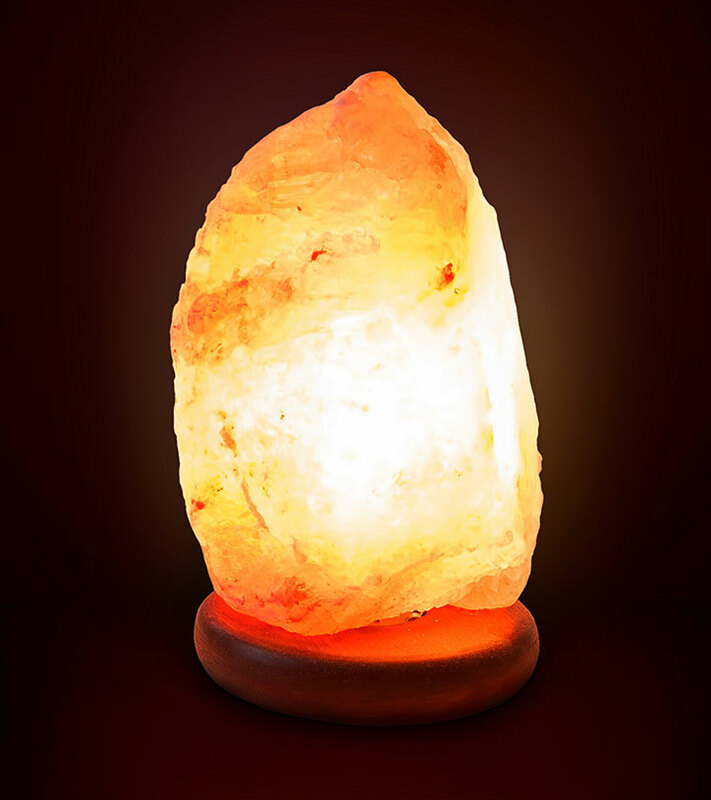 What Are The Benefits Of Himalayan Salt Lamp? 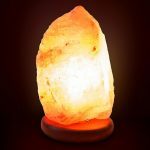 What Are The Top Himalayan Salt Lamp Brands? This is a block of actual Himalayan salt that has been hand-carved. The original (and the only) sources of Himalayan pink salt are the deep underground mines in Khewra (Pakistan), which is located on the western edge of the Himalayan mountain range. The hollow center of the salt block contains a light bulb. Talking about its working, it is important to know that salt has hygroscopic (attracting water molecules) properties. 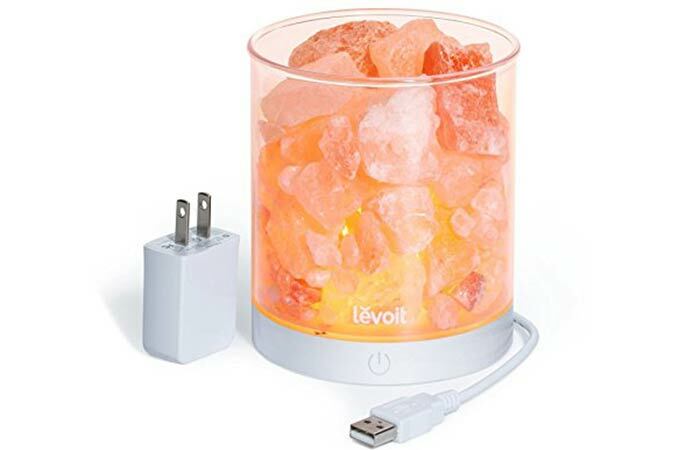 The Himalayan salt lamp is believed to work by attracting water molecules towards it – and this can also include pollutants, allergens, and bacteria in the air, which remain trapped in the salt. Since the salt lamp is heated, the salt releases the water vapor back into the air, holding back onto the pollutants. That’s how the Himalayan salt lamp works. And it offers some surprising benefits too. Though research is yet to prove most of these benefits, anecdotal evidence supports them. Let’s take a look at them. We already saw how the lamp attracts water vapor to it, thereby trapping the pollutants in the air. The lamp then releases the water vapor back into the air. This cycle repeats as long as the lamp is switched on and warm. 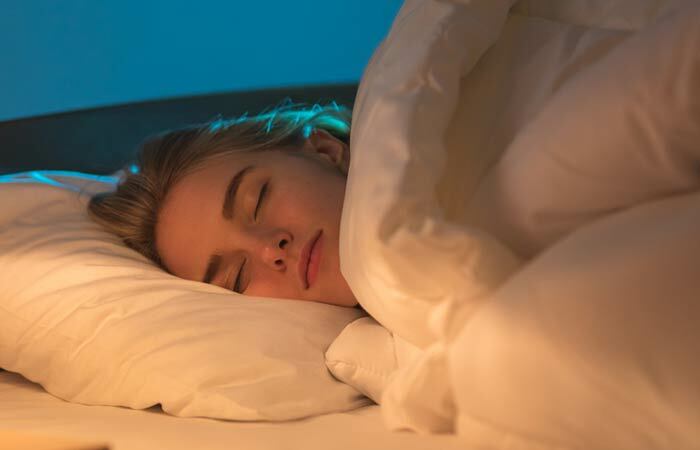 The lamp reduces anxiety and boosts mood, and this, in turn, improves sleep quality. As per color therapy, the warm pinkish-orange glow a Himalayan salt lamp emanates is soothing and calming to the human mind. More interestingly, the lamp also gives off negative ions (pretty much like a waterfall, but at a smaller scale). Negative ions, on reaching the bloodstream, create biochemical reactions that increase the serotonin levels (1). This reduces anxiety and depression and promotes sleep. Also, the dim light from the lamp can promote sleepiness, as opposed to bright lights. 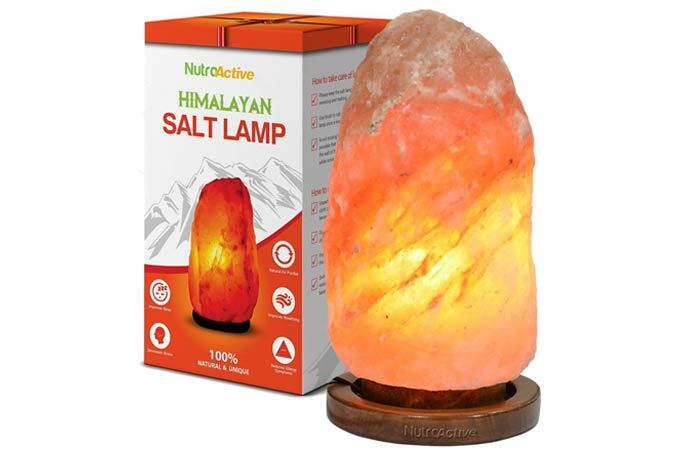 This is one of the best Himalayan salt lamp benefits. The salt is often used in inhalers to provide relief to patients with asthma. In fact, the use of salt in various therapeutic ways (also called salt therapy) has been found to treat several asthmatic cases (2). This is nothing new. Given that we are living in a time where electromagnetic radiation is at its highest (the gadgets around us emit it), it is time we took care. And Himalayan salt lamps could be a good way. Electromagnetic radiation forms unhealthy positive ions, and one way to increase exposure to the healthy positive ions is to spend time near water. 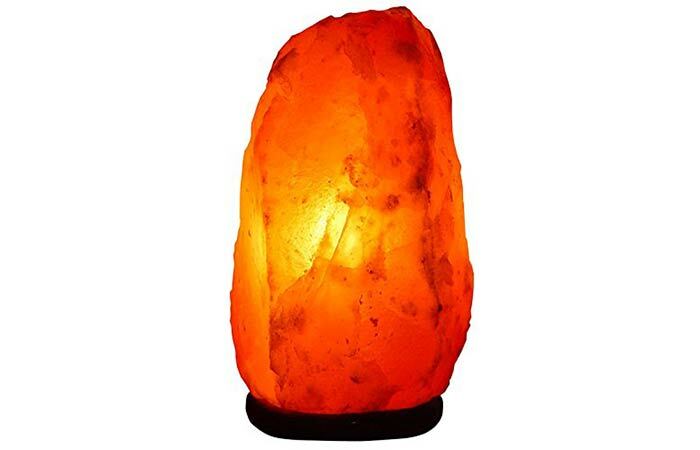 The salt lamps emit low levels of positive ions and cancel out the negative ions. These are some ways a Himalayan salt lamp can do wonders for you. But wait, which is the best brand to go for? As this one is powered by two lamps, it is quite reliable. You can purchase it here for ₹3,559. Handmade in Pakistan, this is one authentic lamp. And given its unique design, the risk of tipping it over is low. You can buy it here for ₹5,259. Its sturdy design makes it a safe product to use. 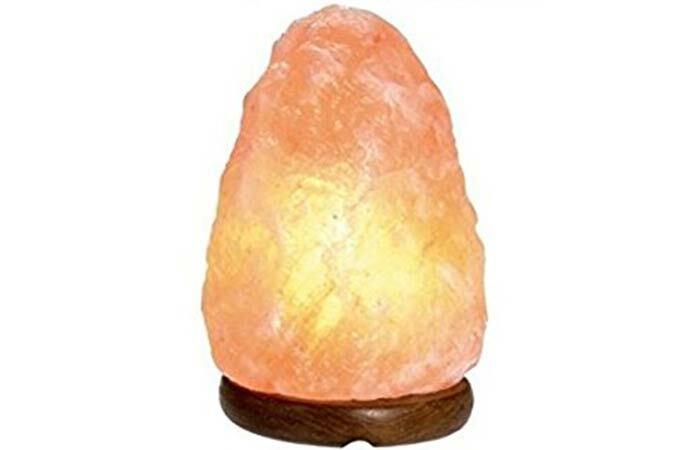 This Himalayan salt crystal lamp also has a strong base made of neem wood. You can purchase it here for ₹995. This is one of the finest remedies to get rid of bad indoor odors. And thanks to its improved drainage control, it ionizes the air better than other brands. You can purchase it here for ₹3,049. Each piece weighs 3 to 4 kilos and comes in appealing designs. Certain pieces were reported to be melting right after unpacking. You can purchase it here for ₹1,649. These lamps are carved from their own artisans from the original salt mines from the foothills of the Himalayas and are natural ion generators. The bulb might fuse in a short time. You can purchase it here for ₹899. Sourced from the Himalayan region, this lamp helps absorb the impurities in the air through its warmth. You can purchase it here for ₹895. These are the top Himalayan pink salt lamp brands available in India. But there’s something you must be wary about – the authenticity of the lamp you are buying. It is important to know how to differentiate the real lamps from the fake ones. It’s common sense. Himalayan salt lamps are made of salt and are hence fragile. Which means you need to very careful once you own one. But if your lamp is not affected by collision, it might not be the real one. Given that the real lamps are fragile objects, a good manufacturer would offer some return policy – as the lamp might get damaged in transit during the time of delivery. But if a lamp has a strict ‘No Returns’ policy, it might be a fake one. Salt inherently absorbs water. And a real salt lamp sweats a little when it is near a water source (like a shower). If your lamp doesn’t show any such signs, you might be owning a fake. A salt lamp (a real one, we mean) contains numerous minerals due to which the light it emits is almost always muffled and uneven. If your lamp emits really bright light, it could be a fake one. And hey, going for a salt lamp is a bad idea if all you want is a bright lamp. The only source of Himalayan pink salt in the world is the deep underground mines in Khewra, Pakistan. Which is why you need to sure if your salt crystal’s country of origin or production is Pakistan. Real Himalayan salt lamps give off a pinkish-orange hue. And there is another variety of the lamp – which is a white variety. It is quite rare and more expensive than the others. So, if you have a white salt crystal lamp that is inexpensive, it sure could be an impostor. Owning a Himalayan salt lamp sure is a good feeling. But ensure you are getting the real deal. And tell us how this post has helped you. Please leave a comment in the box below. How to handle the salt lamp with care? Keep the lamp on and warm for at least 16 hours a day. You can even do this for 24 hours a day, 7 days a week. But if you can’t do that, place your lamp on a mat or a plate. 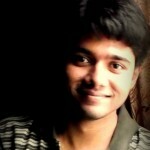 Keeping it on for a long time will reduce the chances of sweating. And yes, it is perfectly safe to keep it on all the time. How to clean the salt lamp? Turn the lamp off, unplug it, and allow it to cool down to room temperature. Using a moist cloth, clean the lamp gently. Be careful with the electricity. How long does a Himalayan salt lamp last? About 250 million years. Yes. It will last forever. Just ensure you keep your lamp out of humid situations, like outdoors or near open windows. 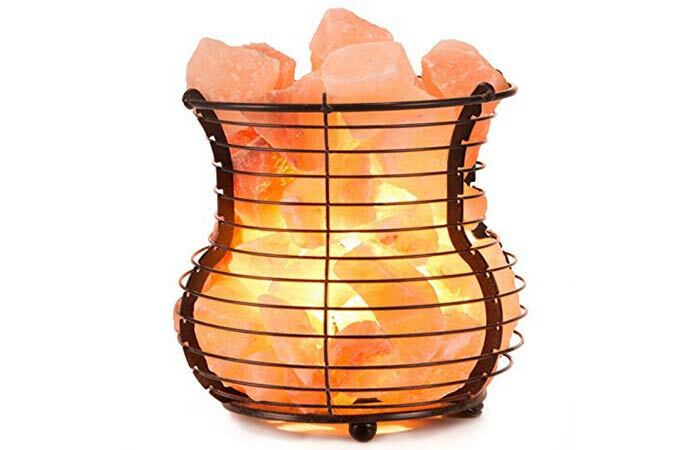 What is the best location to place the Himalayan salt lamp? You can keep it in your bedroom or even at your office that houses numerous gadgets. Can you lick the lamp? Well, yes. It will taste like salt. Ensure the lamp is clean, though. 1. “Negative ions create positive vibes” WebMD. 2. “List of studies” The Salt Cave.